One of our daughter's friends from school lives a few blocks from our place. So on days when we are organised enough, I pick her and her older sister up on the way through. 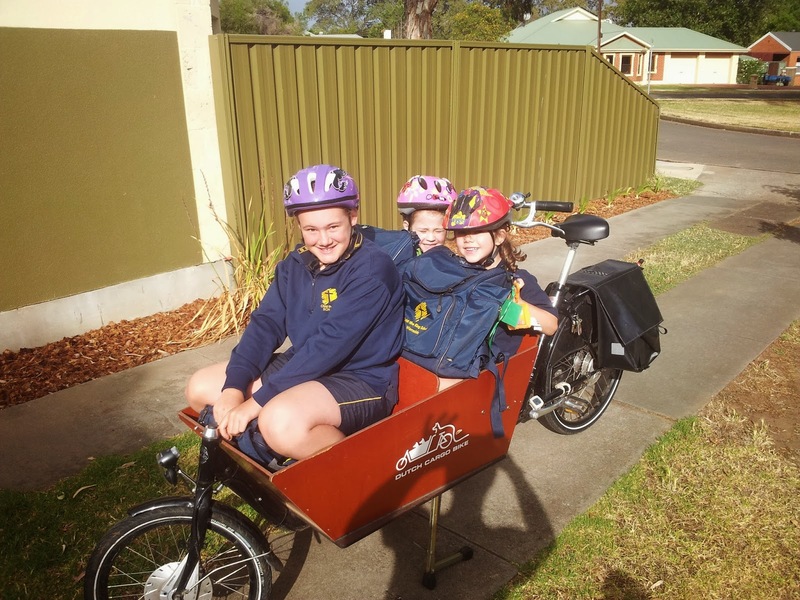 It's a bit squishy, but they all seem to love it, with their mum saying that they both get super excited at the prospect of riding to school in the bike.